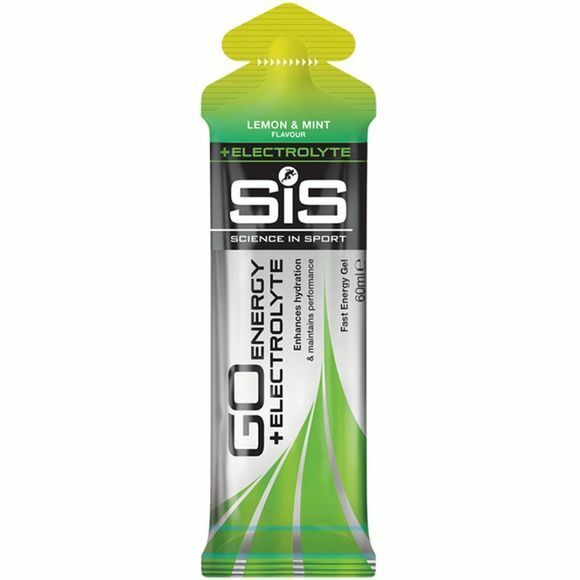 The SiS Go Energy + Electrolyte Gel Lemon and Mint provides athletes with a new and versatile option to enhance their training and racing. Electrolytes including sodium, potassium and magnesium are lost through sweat and need to be replaced in order to help the body maintain fluid balance, alongside an appropriate fluid intake. Water, maltodextrin (from maize), salt, natural flavour, gelling agents (gellan gum, xanthan gum), acidity regulators (citric acid, sodium citrate, malic acid), sweeteners (Acesulfame K, sucralose), preservatives (potassium sorbate, sodium benzoate), potassium chloride, magnesium citrate.